First and foremost, the information submitted on this web site is protected by the attorney-client privilege. But there can be no attorney-client relationship unless we expressly approve it in writing. We will use your information to respond to you, regarding the reason you contacted us. We comply with all Ohio Rules of Professional Conduct will not share your information with any third party outside of our organization, other than as necessary to fulfill your requests. 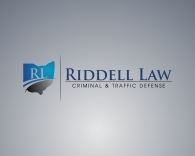 As Ohio attorneys subject to the Ohio Rules of Professional Conduct, we take special precautions to protect your information. When you submit sensitive information via the website, your information is protected both online and offline by the attorney-client privilege.